In total 18,164 people attended the show, a figure down by approximately 2,500 from last year in Orlando. But the 6,045 qualified buyers essentially equalled last year's number. The seminar attendances reached 6,295, down slightly from the 6,921 chairs filled in Orlando for last years show. A total of 701 exhibitors covered 245,200 square feet of floor space. Last year, 729 exhibitors encompassed 273,200 square feet. Orlando (last years event venue) is every three years and it is traditionally the strongest draw for attendees, exhibitors and education. This year has seen an increase in the British companies exhibiting, eleven in total and all of them enjoying sales to the American market. There were Brits at many of the booths (stands) at the show, particularly the usual strong contingent at Ransomes, Scotts, Toro and John Deere flying an international flag. These companies bringing over hundreds of Green Keepers from the UK as their guests. SISIS were also exhibiting, and I caught up with Ian Camp during a hurried lunch break. Ian, who moved to South Carolina to oversee exports said, " this show has been constant rather than hectic. We have signed up two more dealers and taken orders from the booth, which was totally unexpected". Ian was ably assisted by Keith and David, in eating lunch at least! 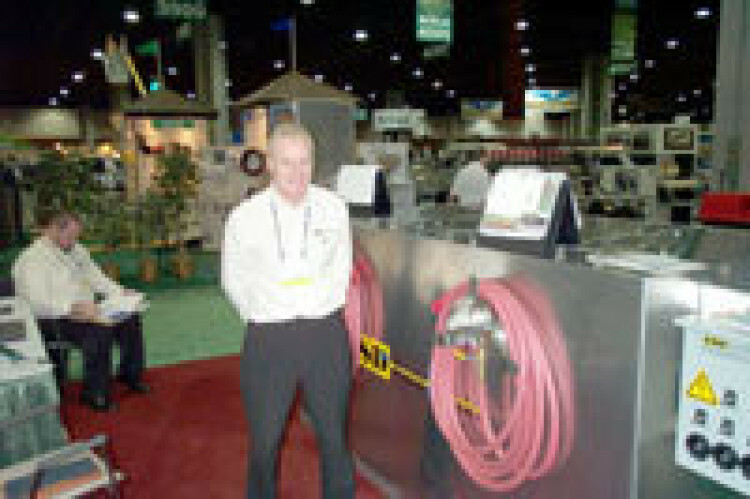 The MD of Bowcom Ltd, Steven Tunstall was seen in familiar pose, demonstrating his modified and improved water remover, Steven said " It's been another good show for us, quality customers and orders from all over the world. Needless to say, we'll be back for San Diego next year!" 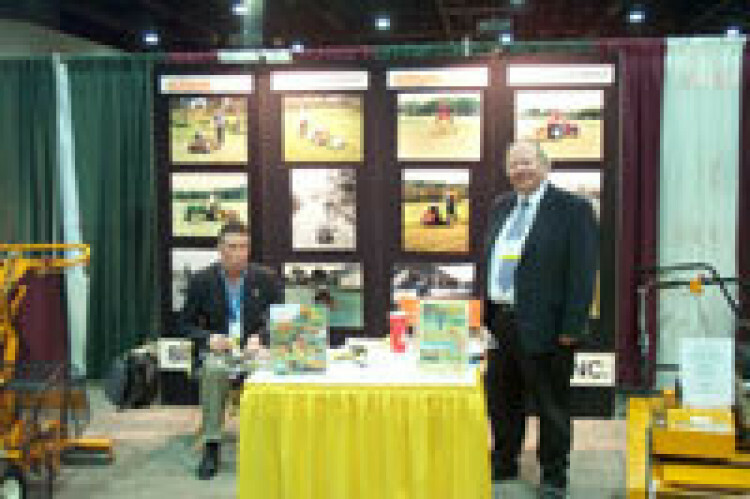 Other seasoned travellers included Blec Ltd, who have been exhibiting at the GCSAA show for the last nine years. Sue Mumby said that they have now built up an established distribution network in the US. 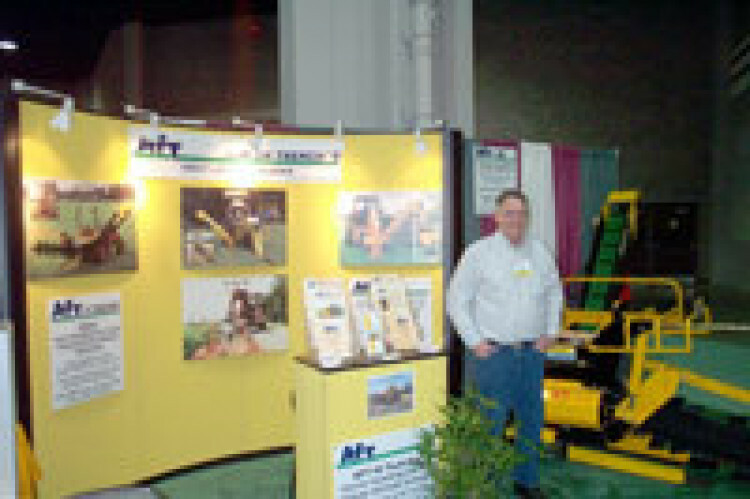 The benefit of distributors meant that the machinery sold had parts and after sales service back up. 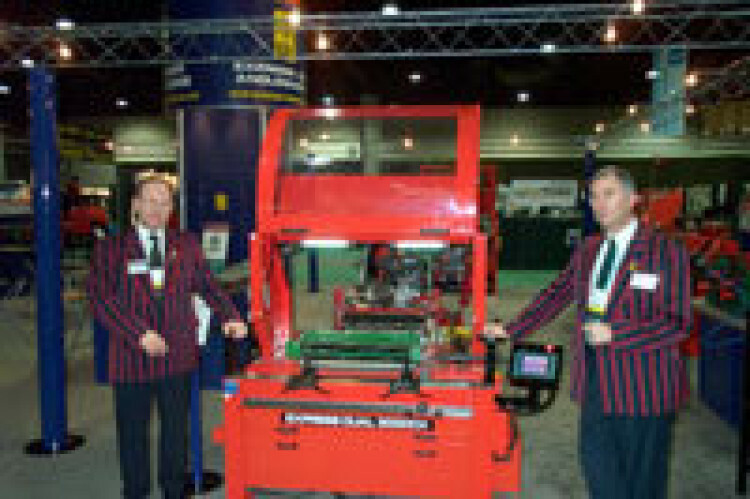 Blec are now quite well established, but without the initial help of the A.E.A nine years ago, they probably wouldn't have started exhibiting at the GCSAA shows. The other UK companies that were exhibiting included Acorn Golf (UK), Lloyds and Co Letchworth Ltd, Sheltons Sportsturf Drainage Solutions, Tacit Ltd, Tinsley Group-Parkes Plant, Ultra Plant and of course BIGGA, represented by Neil Thomas. 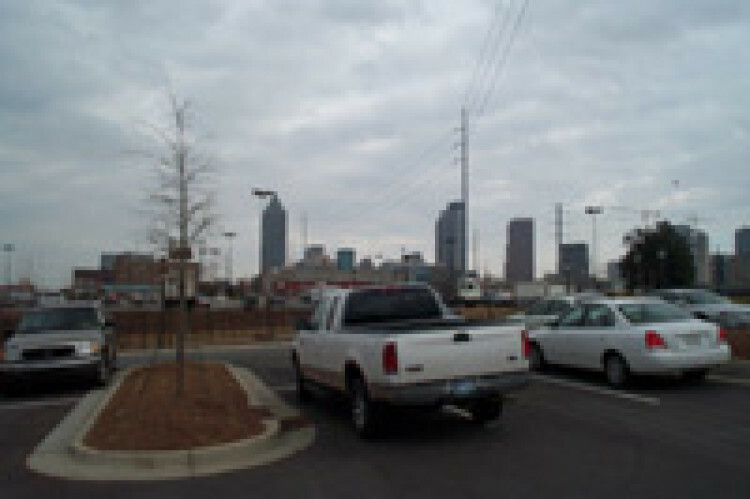 Most of the above companies exhibiting in Atlanta were given financial support from the UK Government (Trade Partners UK). The UK sponsor is the A.E.A. 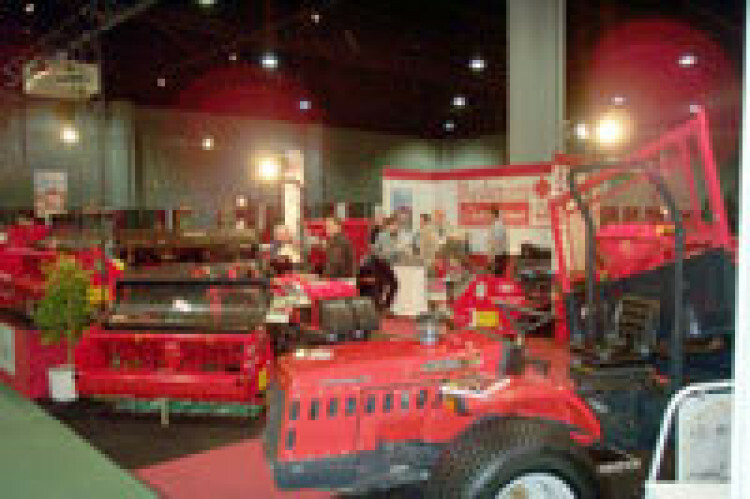 The trade association representing manufacturers and sole importers of outdoor power equipment and agricultural machinery.